Punjab Public Service Commission manages the written tests and interviews of the candidates against the jobs, which are advertised. The candidates were asked to appear in the written exams in the particular subjects and they need to make the preparation in the relevant subjects after reading the syllabus of that subject. 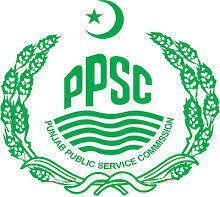 The PPSC syllabus of all relevant subjects will be provided to the candidates online and they should check it and ensure preparation of their written exams keeping within the same syllabus. The candidates should check the syllabus of their relevant subjects and they should read it carefully and prepare their papers after their thorough study. The candidates, who are going to apply against any particular post, they need to check the syllabus of the subjects, in which their written test will be prepared and the PPSC syllabus is provided to the students online for their facility.